Our speechwriters have written speeches for Cabinet ministers and CEOs of FT100 companies, so they can do a great job for you. Speeches are personal and individual pieces of communication. They are also high-profile statements of corporate policy. Speechwriters therefore need to convey important policy issues and statements that also capture the personality and authenticity of whoever’s giving the speech. They’ll work closely with you and your communications team to define and hone messages. They’ll then craft a speech to suit your individual voice and character, as well as the subject matter of the speech. If needed, they’ll also provide speech training and mentoring on the day, to help make sure your delivery is as good as the words they’ve written. We are also deft hands at crafting scripts for films and web content. We have even written shorts plays to get our client’s message across. 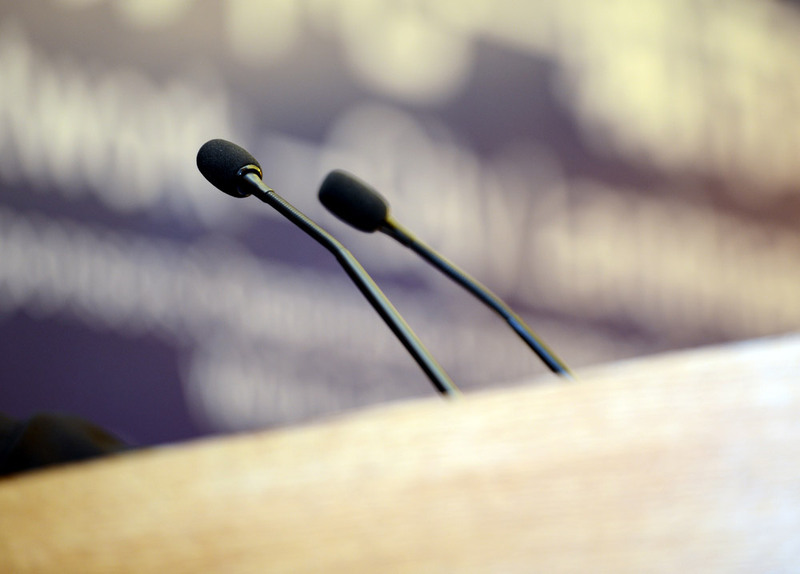 Producing effective speeches is one of the most challenging tasks for a professional writer. We were commissioned to write a series of speeches for the Chairman and Chief Executive of the Audit Commission. It was a particularly demanding challenge. We had to produce scripts that appeared – superficially at least – to be relatively informal and conversational, but in which nothing was really left to chance, and everything could stand up to scrutiny. The subject and venue of the speeches varied. The process remained the same. We were briefed by the Audit Commission policy teams, outlining details of the conference and the time slot given, all the necessary background information and the key messages that the Audit Commission wanted to convey. Our team then had to produce drafts that accurately reflected Audit Commission policy and messages whilst – at the same time – conveying the warmth and personality of the individual giving the speech. Our first task was produce outline structures. These organised the main points or messages of the speech and placed them in a coherent and logical order. Once these structures were agreed with the Audit Commission policy teams, we then produced full drafts. These were written to precise words counts, so that when delivering the speech the speaker wouldn’t overrun their given time slot. Drafts were tweaked and altered to reflect accurately and precisely the policy subtleties and nuances of this high-profile public body. Presentations were then sent to the speakers themselves for their thoughts and comments. Some were approved without amendments. Others then required rewriting as the individuals themselves wanted to shape and mould the content to their liking.